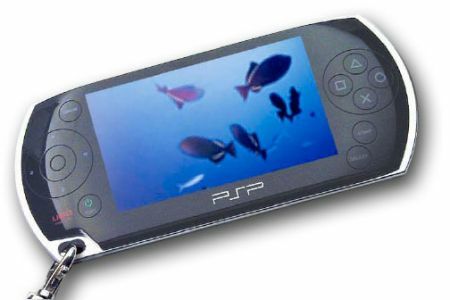 First conceptual images of the Sony PlayStation Portable, expected to ship toward the end of 2004. If it actually comes out looking like this, it will be a pretty scrumptious piece of game gear. I wonder a bit about the ergonomics; experienced PS2 gamers will probably miss the secure grips of today's controllers, especially for those complicated combo sequences. But with 802.11, dual MIPS CPUs plus GPU, and the new Universal Media Disk format, it promises to be an interesting new platform. Heh, and I see that boingboing has this too, with the only in Xeni-land headline "Gadgetgasm-inducing new products from Sony"!